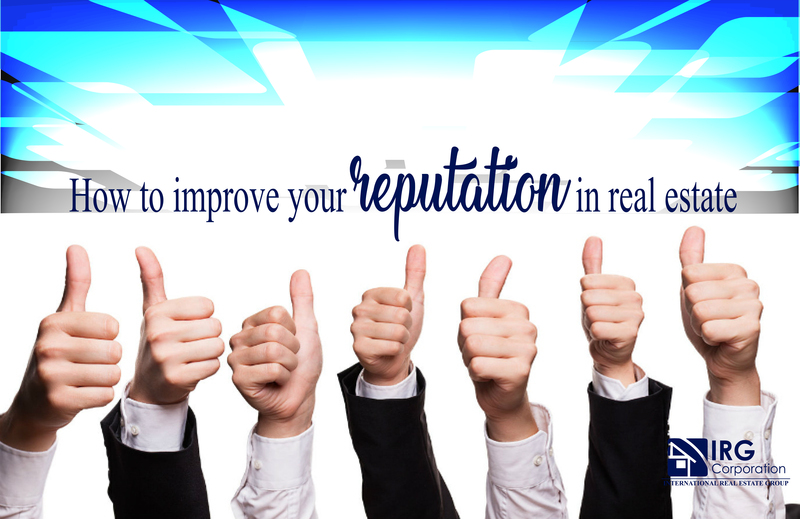 The quality of your service will always be determined by the way you work and the effort you put into everything you do, that’s why reputation is so important in the business world because there is nothing better that can reflect what your brand or your name means that everything you project towards your clients and your competitors. It’s simple, everything you say has to be done for the simple reason that your word is sacred to those who work with you. The best way to demonstrate safety and integrity at the professional level is to comply with everything promised and even a little more. No matter what happens, the only truth you must project to your clients and partners is professionalism. Whether at the time of the first contact or when the closing is reached, you should always act in a consistent manner giving confidence to everyone who works with you. Relationships within real estate and the business world are vital to be in the market and create the reputation you seek. Whether it’s a one-time job or a lasting relationship, the connection and communication play an important role in demonstrating your care and responsibility towards them. In a business where money plays such an important role the way you pay and the promptness with which you do it will project whoever works with you your responsibility and your ethics. Do not delay to settle the debts you have and do not play with the time of others. Because everything moves through word of mouth and the connections that can be established you should keep in mind that if you get to cause a problem in a negotiation everyone will know. Handle with care, know how to use the right times, communicate effectively and demonstrate your quality of work will be vital to your success. Creating a reputation seems to be simple, but it requires determination and perseverance because you must demonstrate day by day what you are and how much you are worth so that whoever knows about you is aware of the quality of your work and the good that It can be negotiate or work with you.